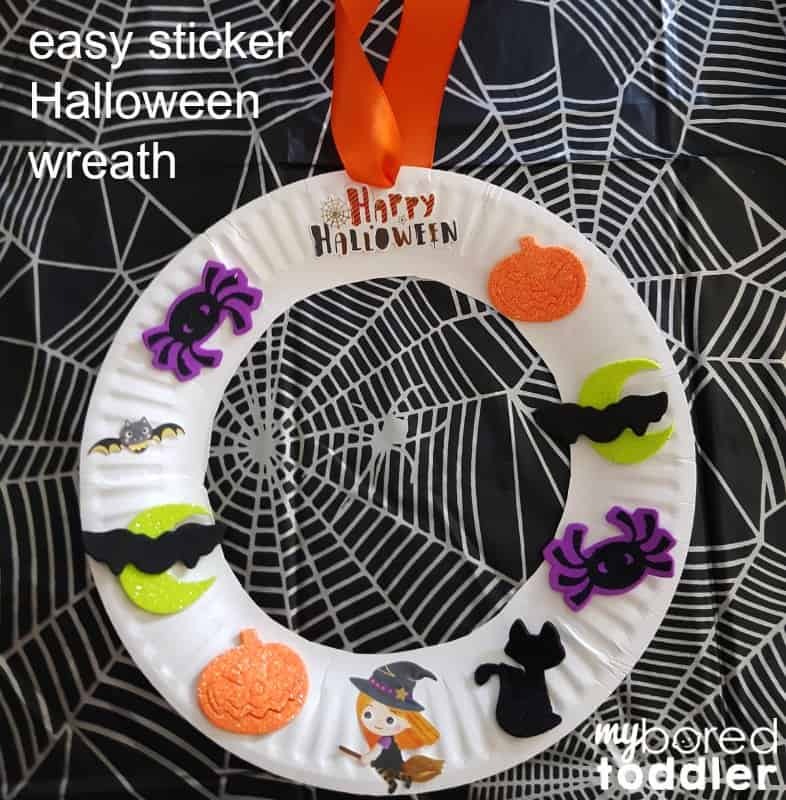 This easy Halloween sticker wreath for toddlers is a simple and inexpensive Halloween craft. 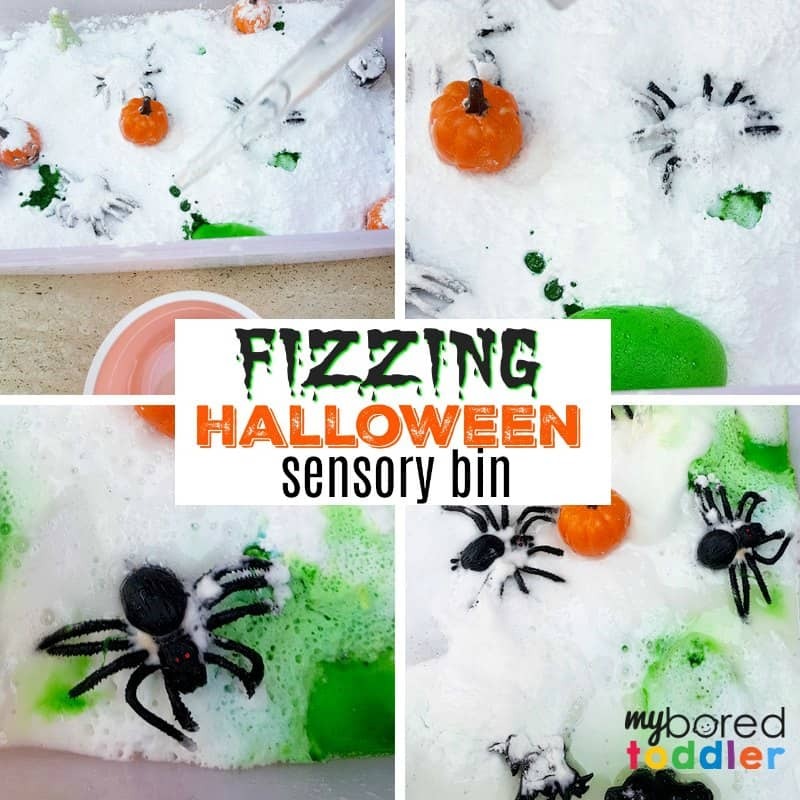 It’s another simple craft that you’re toddler will enjoy doing and you won’t be pulling your hair out from the mess! 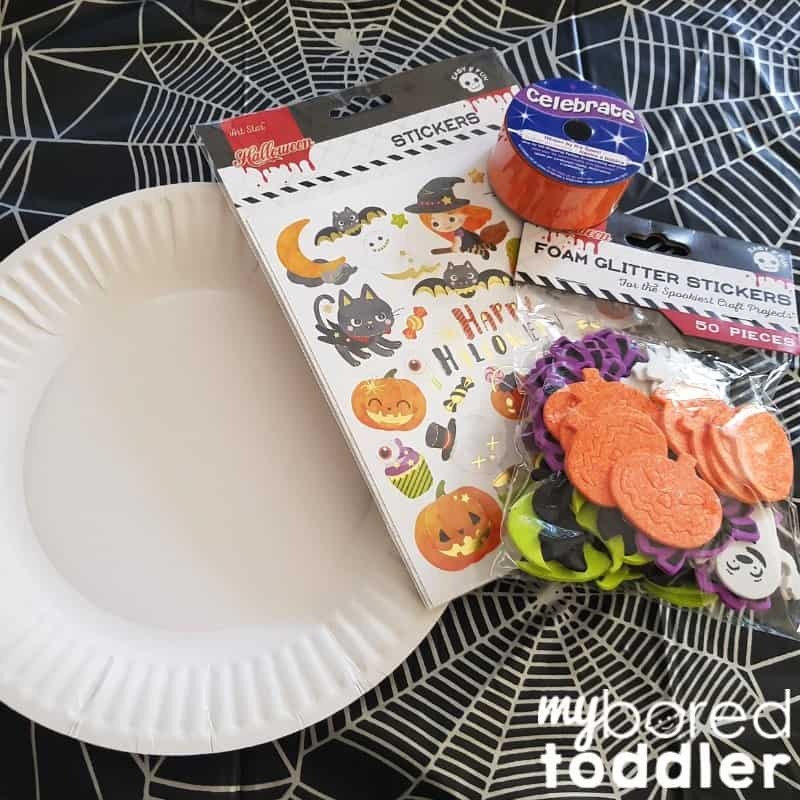 If you are taking part in our Halloween craft challenge (you can still sign up here) then you’ll be able to use the same stickers for this craft as you used for the sticker trick or treat bags. I like doing activities that use similar materials – it makes it cheaper, and easier to set up the next day. 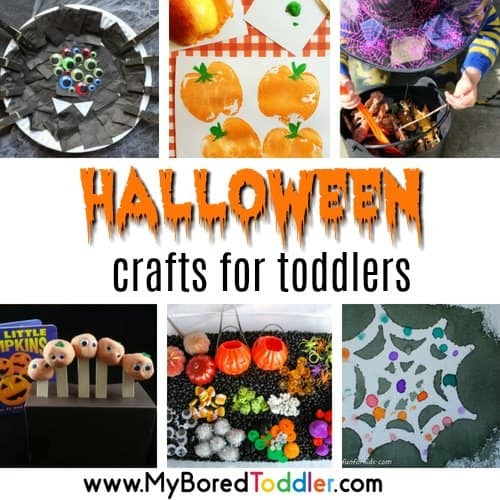 This toddler craft is another one that is easy to make in bulk if you are running a playgroup or even if you just have a playdate. Don’t limit this to only your toddler either – my 6 year old couldn’t wait to make one when she came home from school. 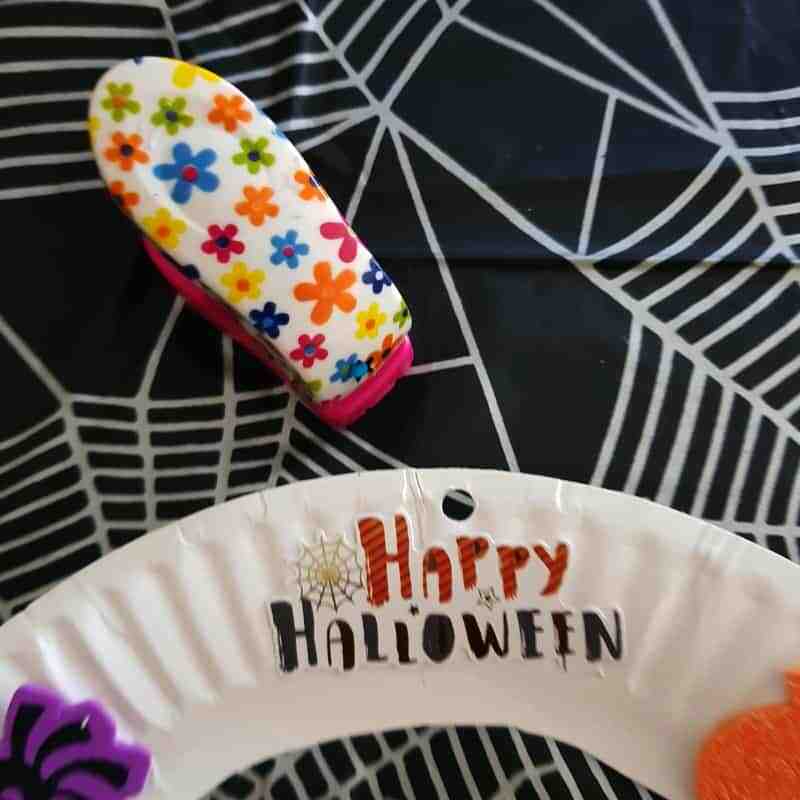 Since we wanted to keep this craft simple we used a plain paper plate. 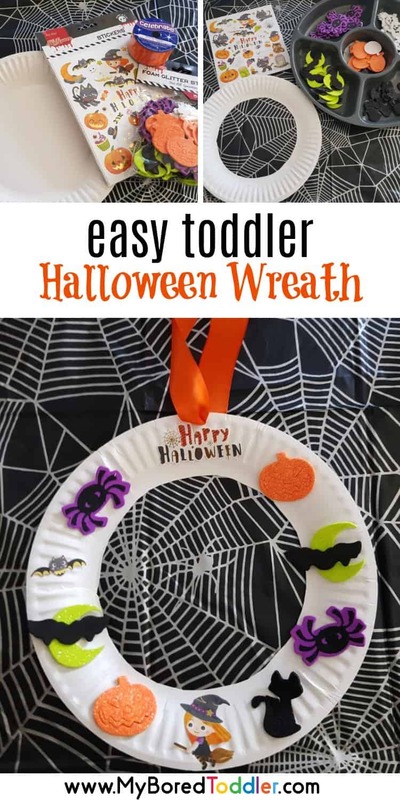 You could extend this activity by painting the plate first, or by adding some glitter at the end. Halloween stickers – we like these foam ones but any will do. We used some regular Halloween stickers too. Ribbon – we used orange for Halloween but you can use whatever you have. Set out your paper plate and stickers. I like to put the stickers out so they are easily accessible. Younger toddlers will need help taking the backing off the foam stickers and taking the regular stickers off the paper. 3. 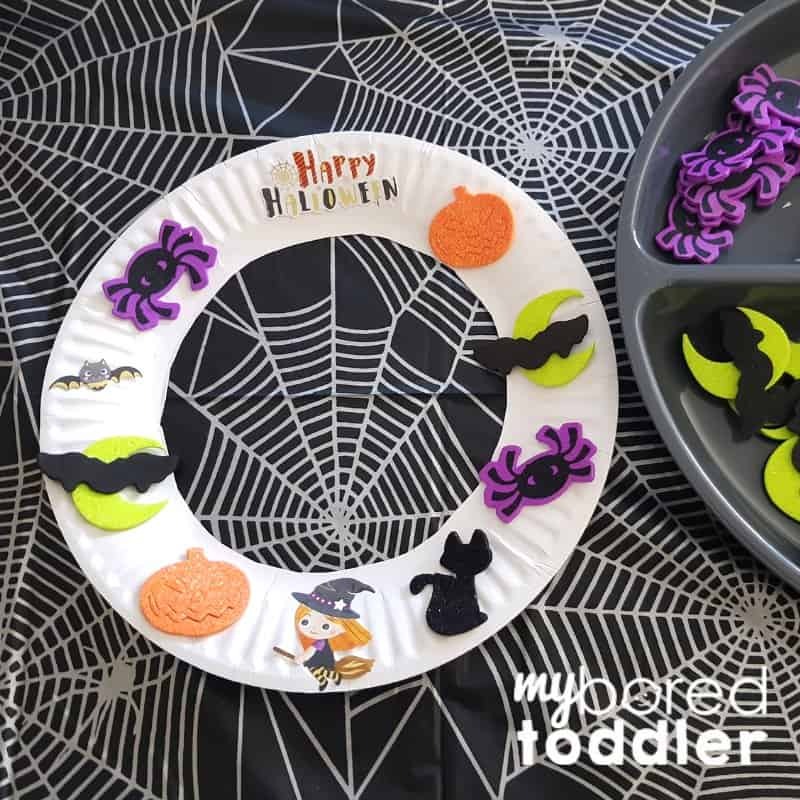 Let your child start sticking the Halloween stickers on the paper plate. 4. Continue sticking until the whole plate is covered. 5. 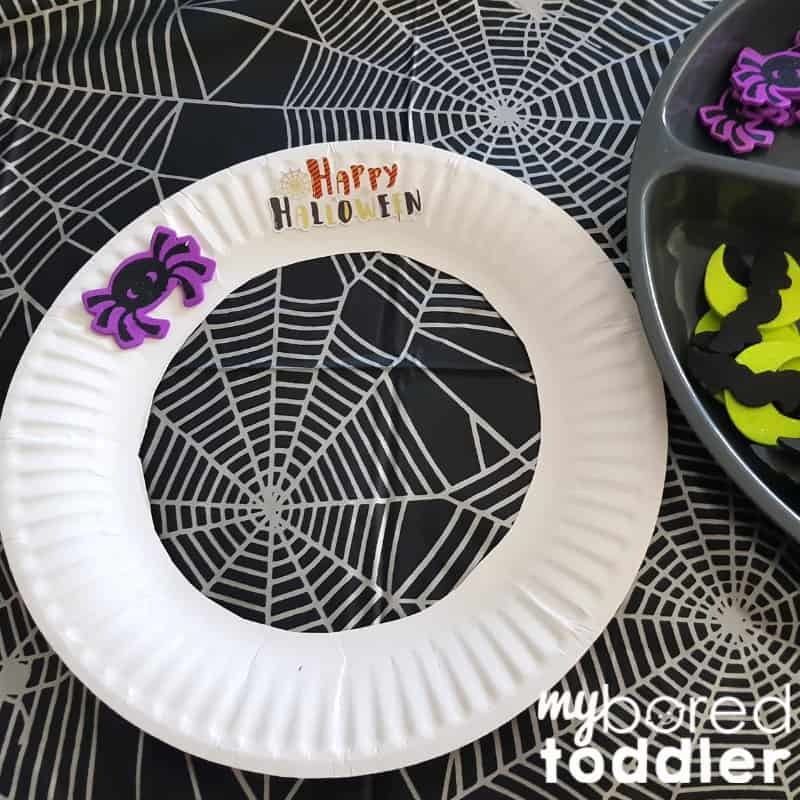 Make a hole at the top of the paper plate. 6. Thread through some ribbon and you’re done! 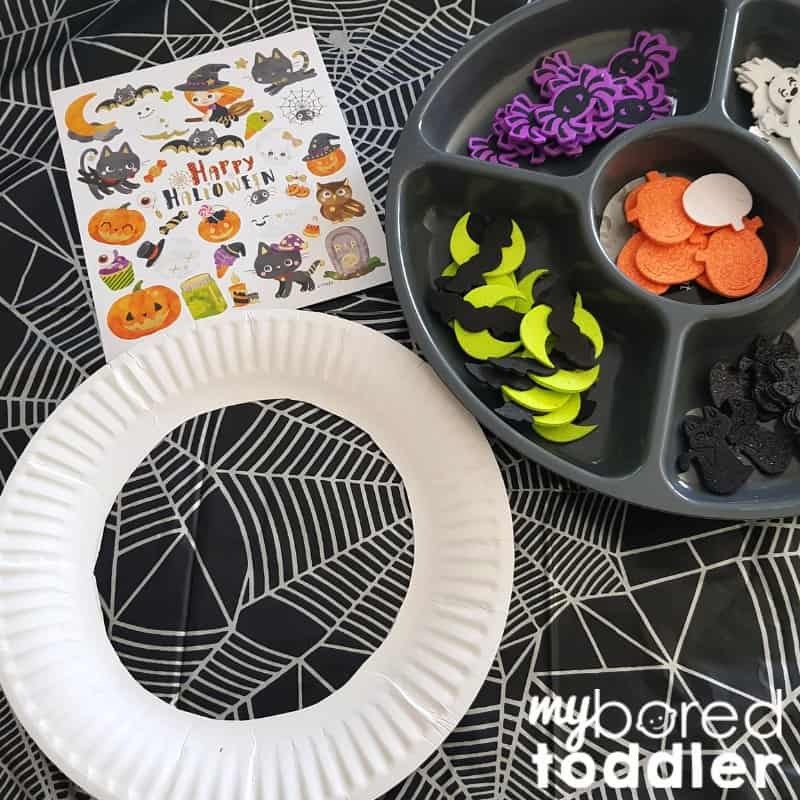 We would love to see some photos of your child’s Halloween sticker wreath – share them in our Facebook group or on Instagram (tag @myboredtoddler and use #MyBoredToddler so we can see – I’ll share some of my favorites).